To mark the 700th anniversary of Riga in 1901, the mayor of Riga George Armitsteds organized several garden parties in the city. Part of the celebrations included the construction of Kergalvja Lapene – Kergalvja Pavillion or Gazebo which was erected in Kronvalda Park. 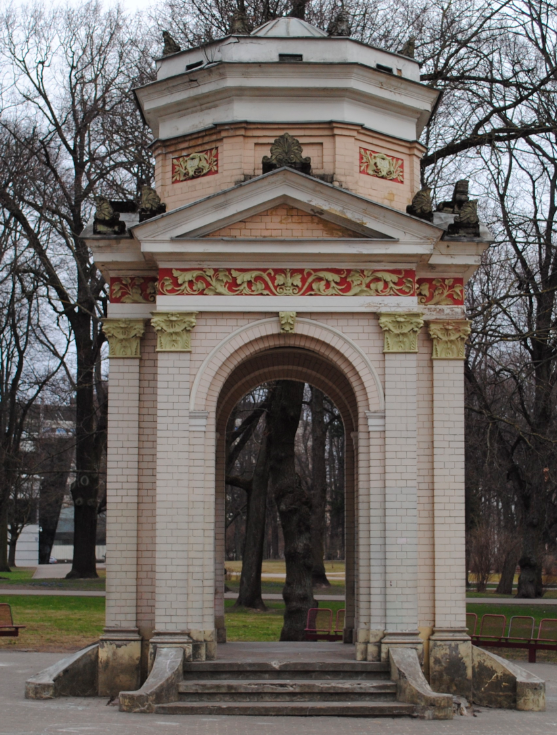 Designed and built by the Latvian master craftsman Krišjānis Ķergalvis, the Pavillion features a pedimented arched entrance on each side with engaged corinthian brick pilasters on plinths. 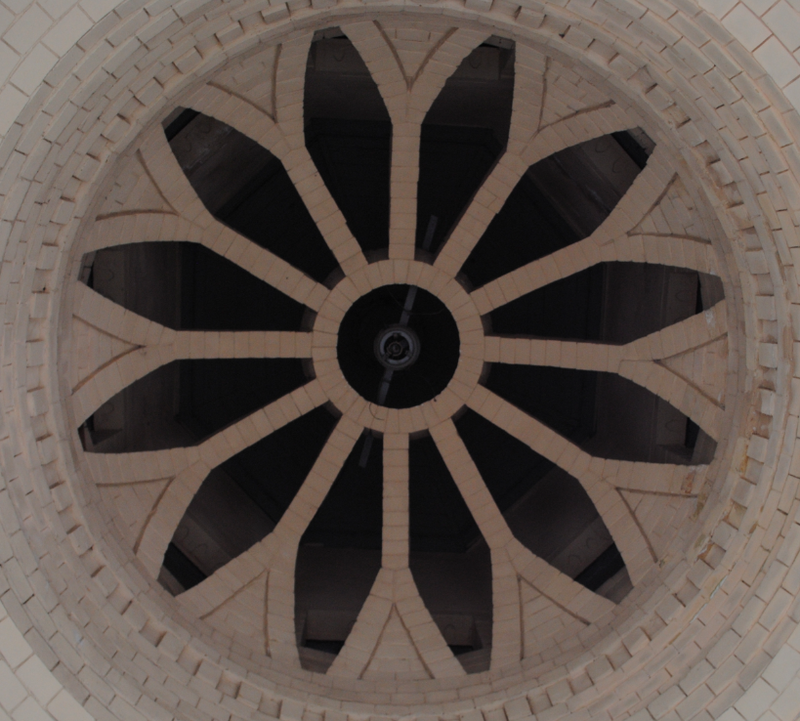 The Pavillion is surmounted by an octagonal roof with leaded dome.